Volumes 1 and 2 combined, with ArtNotes companion workbooks. In collaboration with David Cateforis, and chapters by Stephen Addiss, et al. This was my textbook for the first-year Art History course that I was taking at the university this year. It's a textbook, so I won't go on and on about it. But as far as textbooks go, it was quite good. Other than being way too heavy to carry anywhere (I never brought it to class), it is fairly comprehensive as far as European art is concerned. There were two tiny chapters on the entirety of Japanese art totalling about twenty pages in all (as I discovered when I went to write a paper on Japanese temple architecture). But I guess it's only fair that most art history classes, at least in this part of the world, will focus mostly on the European tradition in art and architecture. There was a decent amount on American art, though again, not much if you are interested in aboriginal art. Ditto for other Asian art, like China and Southeast Asia, plus a small bit of information on Islamic and African arts. 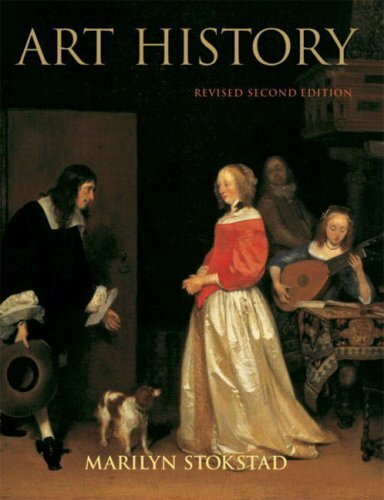 Still, this book is widely recognized as being the best textbook there is for a general introduction to art history. If you have an interest in art and art history and don't know where to start reading, this is a good place. I tend to not keep most of my textbooks - they get outdated or are not compelling enough on their own, but I'm keeping this one for sure.